Arabic SEO is the most cost-effective approach to generate organic traffic in the Middle East region. Building a sustainable long-term organic reach is a cornerstone of every marketing strategy and that’s why Arabic SEO will be always the key access to online acquisition in the Middle East. In the Arabic region, there are an estimated 146 Milion Internet users who are native speakers and commonly searching for nearby local services and products. We have been seeing high competition on geographic keyterms in English optimization for websites but the space in Arabic SEO still not mature. In the last few years, digital marketing budgets in the region were mainly focused on social media organic traffic without paying attention the importance of SEO. This year, the new Facebook update for business pages are taking us back to the point where we need to get back to search engines as an important source for generating organic leads. In this article, I will provide the best practices for Arabic SEO and how to expand your upper funnel with organic traffic. a. Understanding the Arab Consumer: According to a research by Harvard Busines Review, the companies that gloss over the interplay between culture and religion ignore a critical factor for success in the Middle East region.The Arab consumer is unique in terms of search habits which is commonly impacted by culture and religion. b. Local Market Research: Separate the region into different sections and define your top market that you will need to optimize for. If your top market is UAE or KSA this will require optimizing your content and keywords to match the locals top relevant keywords. d. Competitive Research: Conduct an extensive research on the top competitors in the market and analyze their current keywords ranking, domain authority, backlinks, and competitions level. Understand the landscape to identify the gaps in the content and to plan for the best approach. a. Arabic Keyword Research: Start with conducting an advanced research to find the most relevant keywords. It is not enough to extract the top relevant keywords based on the monthly volume. Collect a list of relevant terms used by your offline clients, sales teams and customer support and include it in your final list. Conduct an extensive filtration for your final list and divided it into (Transactional, Branded, Relevant, Informational, etc.). b. Arabic Keywords Localization: DO NOT TRANSLATE KEYWORDS. Localize the keywords to avoid targeting ineffective terms. Usually, companies translate keywords from English into Arabic and they end up with losing a huge amount of relevant traffic. Example: The word “hospitality” translation would refer to “generosity” in Arabic culture which is totally misleading. The translation for some terms sometimes are transcripted in Arabic and not directly translated. While localizing your Arabic Keywords pay attention to the fact that slangs are different for each Arabic country. Make sure your keywords are the most relevant for the local targeted market. a. Arabic On-Page Optimization: Avoid translating your Meta Data and use a professional native SEO copywriter to develop native titles and meta descriptions. Inherit your localized keywords properly into your Meta Tags and HTML content and don’t stick to the English SEO structure. Optimize all the media to include Arabic alt descriptions to be able to generate the top ranking under Google Images Search and Videos. If you are an eCommerce business, it is highly important to localize your product related content using Arabic keywords including shopping cart, product description, images, videos, etc. b. Arabic On-Site Optimization: Make sure you are using proper language tags into your multilingual website. Technically, it is not important to translate the URLs into Arabic, while avoiding duplicated content is highly important. Make sure you check your website for broken links and sitemap to avoid any redirections to English content. c. Local Domain: Local domain play a big role in obtaining a higher rank in local SERPs. Choose a local domain name for your Arabic site such as (.ae, .com.eg, etc.) to maximize your benefits from the local search in the Arabic region. a. Create Content for Targeted Keywords: To enhance your keywords ranking, you will need a long-term content strategy which fuels your website with optimized Arabic content. Don’t rely on localized landing pages and build content to support your ranking growth. b. Answer the Questions Used in Search Quieres: One of the most effective tactics for Arabic SEO is to extract all the relevant questions that commonly used in search queries or social media and provide answers. Longtails keywords and answers to consumer questions play an important role in conversion rate for the organic traffic especially in Arabic region due to the lack of technical and informative Arabic content. Google My Business (GMB) listing is an important first step for a successful local SEO strategy. Verify your local business can increase your chances of showing up in Google’s local search and Google Maps. a. Track Regionally: The best practice to track effectively is to setup your Google Analytics and SEO tools for your Arabic website separately. Majoirty of SEO tools provide different domain analysis and keywords ranking for your local websites. b. Use Local Metrics: Each region has different online behavior which requires different metrics in order to track your KPIs effectively. Test and customize your metrics based on the regional factors to gain the knowledge required for your marketing strategy in the Middle East. Conclusion: In the last 12 years I worked with over 50 Arabic SEO projects and I strongly believe that the Arabic SEO is one of the most successful approaches for a long life customer acquisition in the Middle East. I would always consult companies to allocate more budget for organic channels instead of only focusing on paid search and social media advertising. The proven track of successful results over the years is always leading to the fact that Arabic SEO is the most cost-effective investment for digital marketing activities in the region. We are back now to the game where social media reach and advertising impressions are not as agencies imagined. Companies are now raising the need for better conversion rates across all the digital campaigns. 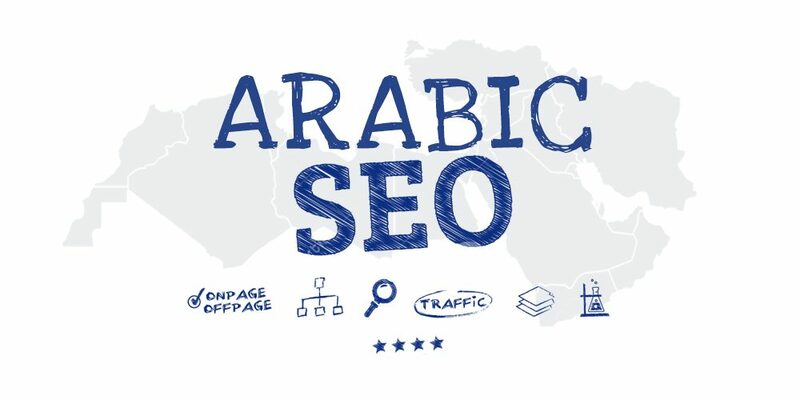 The secret about Arabic SEO that the competition is still not high regionally due to poor content translation, lack of Arabic content and focusing on AdWords instead of developing organic growth. Those who are well optimized and developing their Arabic SEO will invest less and gain more in the game of digital marketing for this region. If you have any questions or want to review and audit your Arabic SEO, check my digital marketing consultancy services.